La Mer respresents supreme luxury and serious treatment. Crème de la Mer, one of the most innovative and sought-after moisturizers, was conceived by Dr. Max Huber, an aerospace physicist, after an experiment exploded resulting in severe chemical burns to his face. 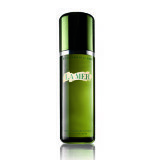 Twelve years later, he perfected Crème de la Mer. Since then, it has evolved into what can only be described as legend.